DP World Brisbane – file photo. 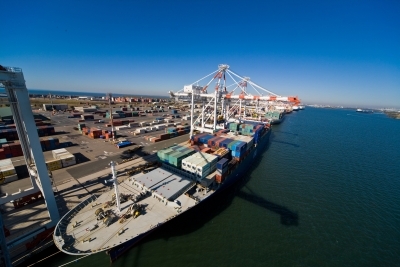 After the successful go live of its new semi-automated terminal in February, DP World Brisbane has set its sights on full use of the new facility by 30 April 2014. DP World Australia managing director and CEO Paul Scurrah said the company has been progressively bringing the new operating mode on line since February. “We are targeting the end of April as the point at which all of our Brisbane volume will be handled under automation,” Mr Scurrah said. “This project is an important initiative that will bring a significant boost to our terminal capacity, both in terms of the volume that we are able to handle as well as the efficiency of our landside and quay line interfaces. “This has been a complex project that has brought together a major terminal operating system upgrade, a variety of sophisticated terminal handling equipment and an advanced computerised control system. As with most projects of its complexity, the change in operations has not been without implementation issues. Despite running the systems for some months in a test environment, Mr Scurrah says there have been “inevitable teething problems”, which have at times impacted both landside and vessel operations. “We are working our way through these as they arise and in the process we are gaining valuable expertise in the operation and troubleshooting of the new systems,” Mr Scurrah says. “Over the next few weeks, we will be increasing the number of vessels that we work under automation as the initial system glitches are eliminated. “We appreciate our customers’ patience and understanding during this period, and we will be working closely with vessel operators whose vessels are worked under the new mode. “We will do everything within our power to mitigate operational delays to both vessels and road operations. On 6 February 2014, the Kota Lestari was the first ship to be serviced as part of a transition to semi-automation in Brisbane. The existing terminal will remain operational until the full transition is completed. Under the new system, containers are transferred by manned shuttle carriers from the quay crane to a waterside exchange area at the front of a module serviced by automated stacking cranes (ASC). 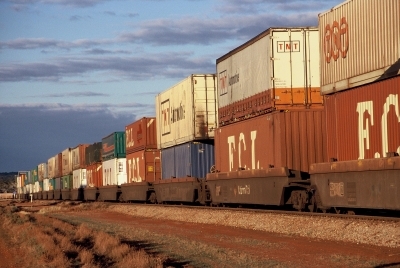 Brisbane will have seven operating modules, each serviced by two ASC. The overall annual capacity of the seven operating modules is around 900,000 TEU.